Congratulations to Scott and Melissa Wiegand who ran the Stride for Sight 5K this past weekend. Melissa finished in 31:07 and Scott finished in 36:07. This entry was posted in Results on April 20, 2019 by tekgrl_admin. It was a weekend for 70.3’s! Congratulations to Kevin La Ra, Al Adli, and Dan Streeter, who completed the iconic course at Oceanside. And to Naman Parekh, who was on his way to finishing Texas 70.3, until, with 4 miles left to go in the run, the race was cancelled due to severe storms! And finally, to Frank Smith, for yet another marathon finish! Naman Parekh – Naman swam 38 min and biked 3:09. He then held 7 min miles until 4 miles to go when the race was cancelled. Naman is headed to IM Brazil in May. Frank Smith – 4:52 and 20th in his AG! This entry was posted in Results on April 12, 2019 by tekgrl_admin. 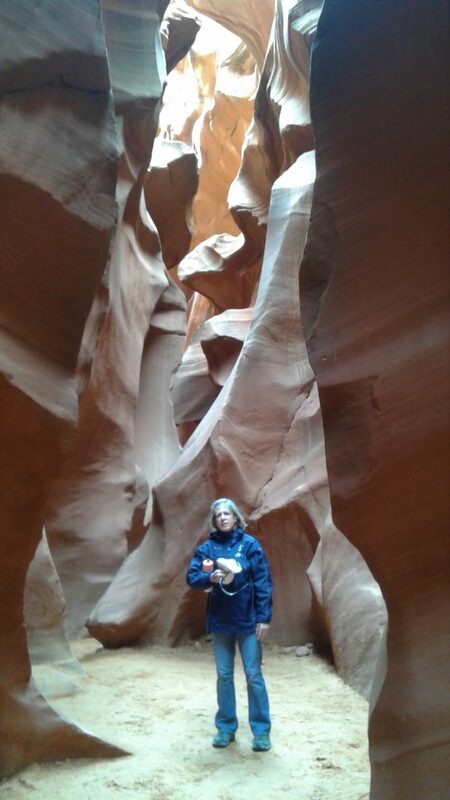 Congratulations to longtime Camelback Coaching athlete, Kim Essendrup! 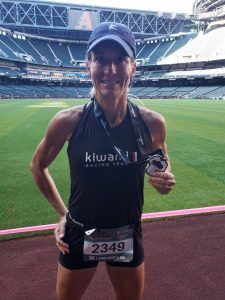 Kim raced the grueling Crown King 50K ultra run and finished in 10:33. 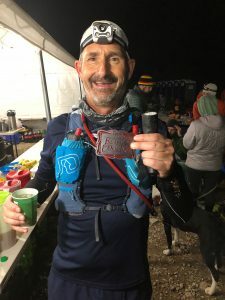 Kim has done many Ironmans, including Kona, but this was his first ultra run. Way to go, Kim! Closer to home, Cortney Ellish raced the Diamondbacks 5K and blistered the course in 20:51. This was good enough for 4th overall female and 1st in her AG! Awesome job, Cortney! Good luck to everyone racing Oceanside 70.3 this weekend. The forecast looks great! This entry was posted in Results on April 5, 2019 by tekgrl_admin. Congratulations to Scott Wiegand and Cortney Ellish! Scott and Cortney ran the Wonder Woman 5K and 10K respectively last weekend. Scott ran the 5K in 37:54 . 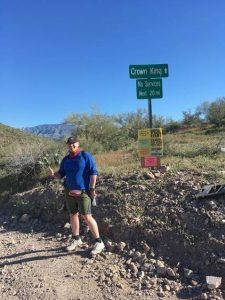 Scott is training for half marathons this season. Cortney ran the 10K in 43:19 and took 1st in her AG and 5th overall female! We hope everyone is enjoying the spring weather and looking forward to a great spring season of racing! This entry was posted in Results on March 31, 2019 by tekgrl_admin. What a nice weekend for racing last week!! 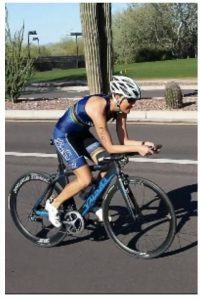 Marc Suarez – 2:05 – Marc will be racing an Ironman double this year with Chattanooga and AZ! Peter Ney – 1:04 – 4th overall! Kathy Stanley (pictured) – 1:19 – 1st in AG!! Joan McGue – ran the run relay in 31:01. Team took 3rd! This entry was posted in Results on March 22, 2019 by tekgrl_admin. This entry was posted in Athlete Photos on March 16, 2019 by tekgrl_admin. We hope you all had a great week! Time to catch up from last weekend. We had some impressive race results from tough venues. 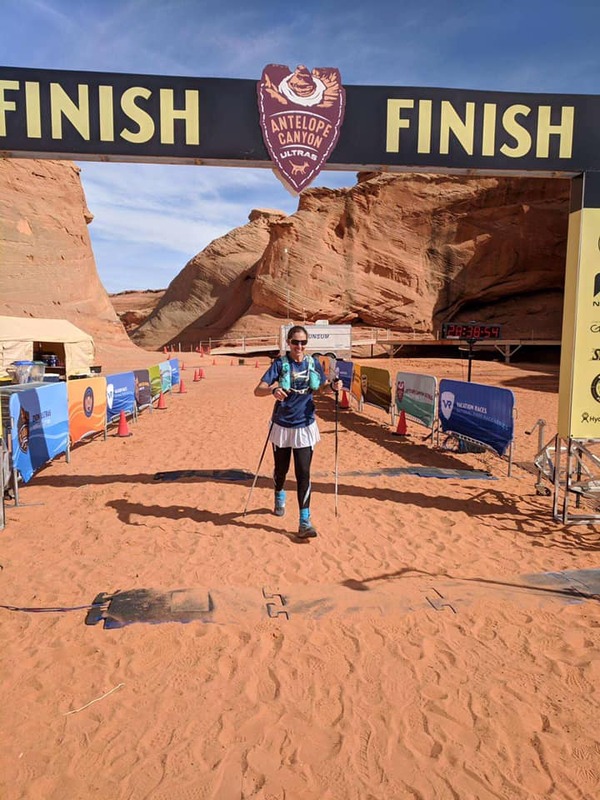 Special congratulations goes out to Tali Toncray who raced the Antelope Canyon 100 Mile run and placed 30th overall and 8th female with a time of 28:38!! Cortney Smith Ellish – 2:03 – 6th overall female and 1st in AG! Frank Smith 2:06 – 35th in AG – There were over 32,000 runners at this event!! 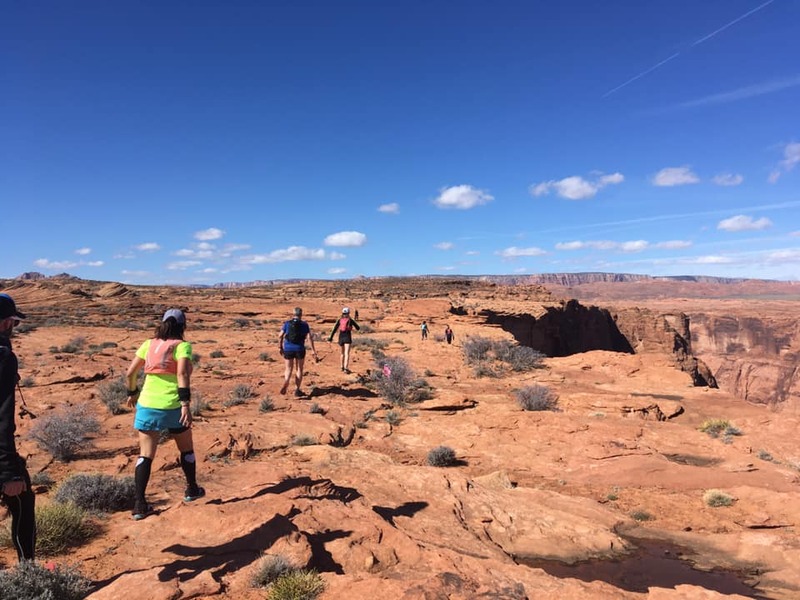 This entry was posted in Athlete Photos, Results on March 16, 2019 by tekgrl_admin. Melissa Wiegand and Scott Wiegand each ran a 3.5 mile trail run on Saturday and followed it up with a local 5K on Sunday. Melissa ran the trail run in just over 40 min and did the 5K in just over 33 min. Scott did the trail run in 42 min and finished the 5K in 35 min. Melissa and Scott are looking to race some ½ marathons this year. At the Run Hard Marathon in Columbia, S.C., Frank Smith kept his monthly marathon streak alive and finished in 4:51. This was fast enough to earn 3rd place in his AG. Nice job Frank, Melissa, and Scott! This entry was posted in Results on March 9, 2019 by tekgrl_admin. 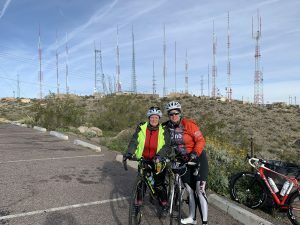 Nine-Mile Hill – not like we’re used to! Oh, my! What a fun day of snow (pic is from 9-Mile Hill). We hope you’re enjoying this awesome weather! Quite a few races to report on from this past weekend. 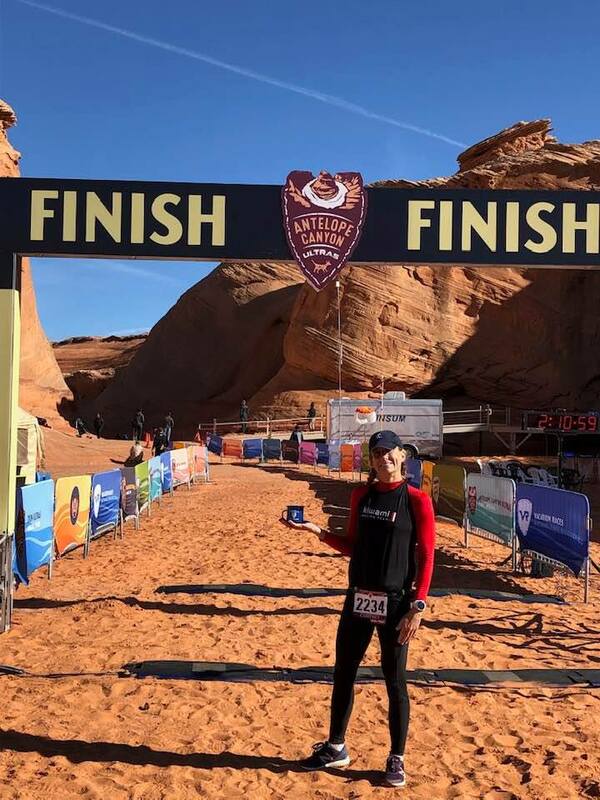 Congratulations to Eero Allison who finished his first ultra-marathon! Eero finished the Black Canyon 100K run in 14:55. Eero will be running the Boston Marathon later this Spring. Frank Smith kept his marathon streak alive by finishing the Ft. Lauderdale Marathon in 5:47. Joan McGue finished the Chinese New Year 5K in 29:34 and took 2nd in her AG! 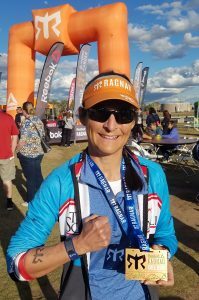 Kathy Stanley and her team finished the RAGNAR Relay (RAGNAR del SOL) on Friday and Sat. This entry was posted in Athlete Photos, Results on February 22, 2019 by tekgrl_admin. 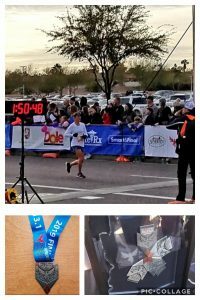 Congratulations to everyone who raced the Phoenix Marathon and ½ Marathon this past weekend! It was a great day for running – cool and overcast! Vince Mazzocco – 4:18 – PR! Terry Crowley – 1:50 – PR! Kathy Stanley – 1:50 – 4th in AG! Andrew Broderick – 1:44 – PR! This entry was posted in Results on February 15, 2019 by tekgrl_admin.